The Sand Dollar Ceramic Lamp is the perfect beach house lamp. 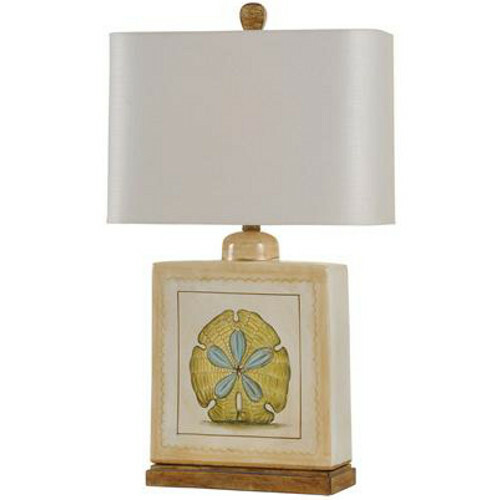 It features an elegant hand painted blue sand dollar on a ceramic lamp with wooden base. Stands 27 inches high with a 10.5 inch rectangular rounded corner hardback linen shade.